I am not a photographer. I have no miracle tips for you. 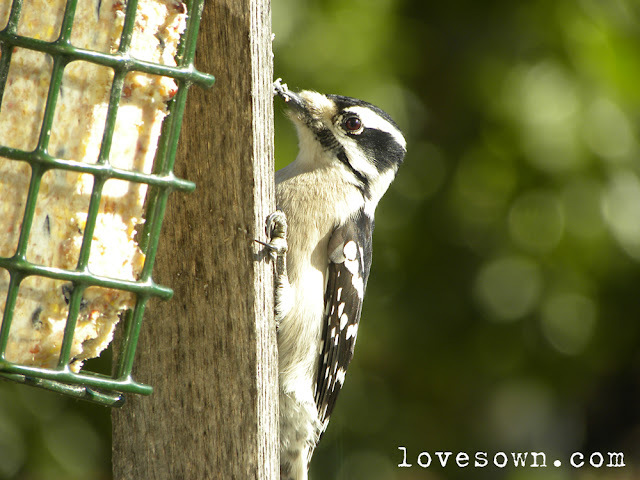 Disclaimers aside, last winter I developed an obsession with taking pictures of the birds on our feeders. It became my urban semi-artistic redneck version of hunting. I didn't want to kill anything, I just wanted to capture their little, beaky souls. My Nikon P90 has a 24x optical zoom, so I could get a decent shot of the woodpeckers up on the trees about 30 ft from our front window. I get get a nice blurry shot of birds up trees in the back of our lot. My passion quickly changed from just taking good pictures, to cataloging as many different species as possible, to getting the sharpest shots of as many species as I could. Most of my shots have been taken from behind windows. My bum can only handle so much cold even if I sit out in a camp chair. Last winter, Joe and I set up seats in the bed of the truck, but the birds would take off with so much as a sniffle from us. When I visited my parents in Chattanooga, I was able to get some great pictures from their back deck in the snow, but I couldn't stay outside long. Their windows are super energy efficient and thick, so they graciously put up with me cracking the window and stuffing it with towels so I could stick the lens through a hole to take shots of their feeder. I was so excited to see which species populated their yard in Eastern Tennessee as opposed to my yard in Piedmont North Carolina. Each species presents different challenges in photographing. The easiest one is the chickadee. Always the first to the feeder, she likes to pause and strike a pose. Her white is just dingy enough to not reflect too much sun. 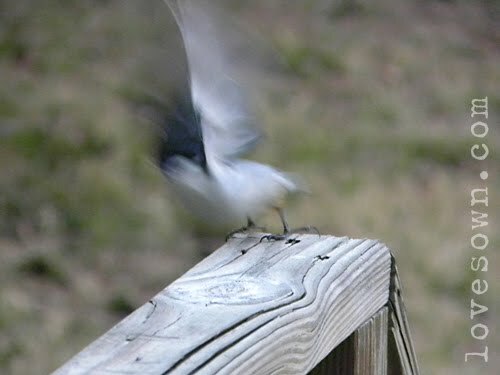 The tufted titmouse comes just as often, but she's much more jumpy. Any slight movement of my hand sends her back to the trees. The nuthatch strikes a nice pose but doesn't show up at the feeder quite as often and tends to go towards the backside as if he is camera shy. All the little ground hoppers are the most difficult for me because of the angle of the shot through the window. Anything that deviates too much from a shot perpendicular to the glass pane increases the chance of reflections. Depending on the time of day, cardinals can turn out orange and blue jays become so reflective that they make my eyes cross. My favorite spot to take pictures is the feeder off the back deck. It is only three or four feet from the bay window, and the banister provides the birds with a runway. 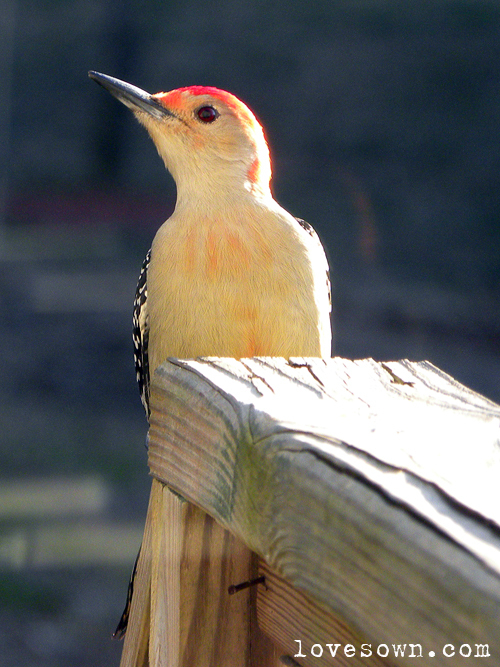 The red-bellied woodpeckers will land on the end of the banister where the stairs connect, pop their heads up and look around, then hop down the runway until they find their in to the feeders. Yesterday both the male and female landed at the same time and looked quite comical, like a pair of curious clowns. Decidedly, this is not my best shot of the red-bellied woodpecker (a little too much light on him and the runway), but he really is working his stuff here!